After deciding not to return to Fuego’s school, I started getting depressed. What the hell was I supposed to do now? Wrestling was the last passion I had outside of writing. Though during that time, I’d also started reading novels a bit more – usually on the long transit rides around the city or on breaks at work. So I thought, okay, what if I went back to school and finally finished my degree in English Literature? Maybe I could even get into a writing program? In early Spring, my roommates all wanted to move to other places. Mitchell and his girlfriend wanted a place of their own, for example. Unfortunately, I didn’t know anyone in the city well enough to suggest moving in together. And I sure as hell wouldn’t be able to afford it on my own. So for a summer, I moved back in with my folks in Fredericton. In retrospect, that was a mistake and I should’ve somehow found somewhere to stay in Toronto. 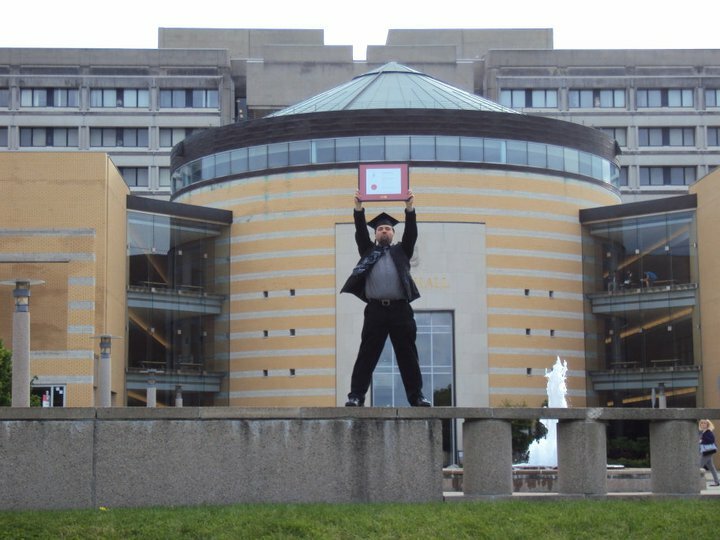 Still, I moved back in the fall, attending York University. My first ever piece of published work. There, I finished my degree in and also started working on my first full-length novel. Previously, I’d only ever completed shorter novellas and, while I had ideas for novels, never thought I could do it. Now it’s a published novel with a small press publisher and has received quite a bit of positive feedback on Amazon, and some solid reviews. While I was in Fredericton over the summer, I sent out some short stories. 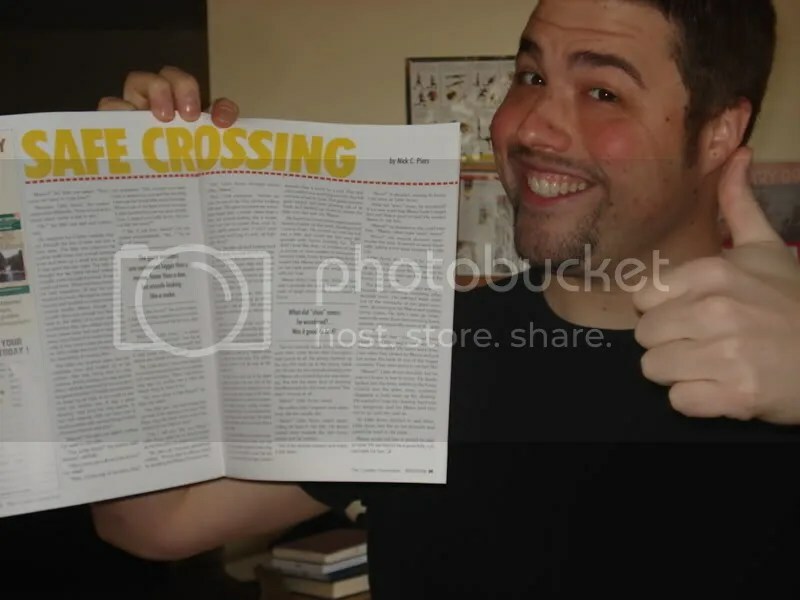 Some sci-fi ones were rejected, but two were accepted: The Country Connection published Safe Crossing, making it my first official published work. Shortly after, The Never Ending Battle, where I talk about my ongoing battles with depression, appeared in Open Mind’s Quarterly. That one I’ve republished on here. To this day, many people call it my best work. Because I’m my own worst critic, I don’t think it’s as good as my later stuff, but I guess that’s a subjective opinion. It’s still surreal that I can call myself a published author. But school also greatly inspired my writing, making me suddenly come up with an idea for a full length novel that was published in February last year. 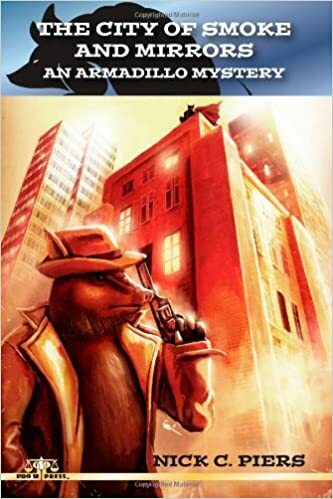 It’s superhero detective fiction. Its star, Dilbert Pinkerton, is a mutant armadillo private detective. He digs for the truth. I like to think it’s a mix of Mickey Spillane and the Ninja Turtles. 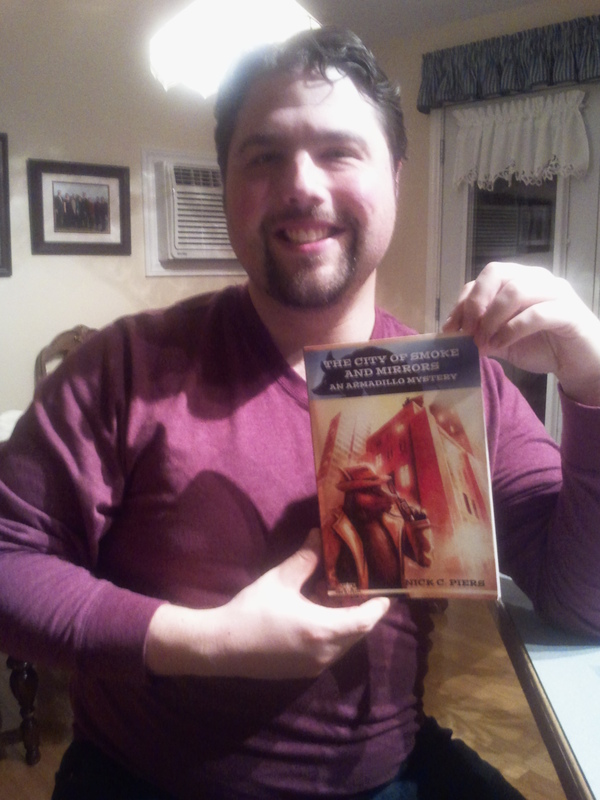 If you’re interested in checking it out, you can get a copy either at Amazon or Smashwords. Or if you want to read more about the creation of Dill, giving you a peak into the mind of a writer, you can read about his origin here. This concludes the shameless promotion part of this afterword. After graduating, I moved to Maine for an Elementary Education program. After the year of courses, I moved back to Fredericton for the practicum portion. Which…I hate to admit it, also caused me to drop out before I could finish it. Since then, I’ve been struggling just to figure out what the hell to do with my life. Depression has hit me harder and harder over the last two years, especially, since dropping out of the practicum. It feels like I hit a huge wall and I’m still – as of this writing – struggling. Even the publication of my first novel, which was one of my biggest dreams – bigger than getting into wrestling – hasn’t lifted my spirits. A counsellor held it up, pointing at it, and all I could do was shrug and say, “Yeah.” As of this writing, I’ve sadly moved back in with my parents here in Halifax because I couldn’t afford to live on my own any longer. Hopefully – hopefully – that’s temporary. It just feels like another defeat in a long line of defeats in my life. Still, as far as wrestling school goes, it was something I tried and failed. Every once in awhile, I’ll get bitten by the wrestling bug – usually after seeing a great match or angle – and consider it again. Depression has killed my motivation to do a lot of things, including staying healthy. I’ve gained back 35 pounds, which I’m fighting to lose again. One thing that’s given me a lot of enjoyment in the last year has been DDP Yoga, though I haven’t been doing it as consistently as I should. I’d been doing yoga once in awhile for years, but I really enjoy DDP Yoga. At this time, though, I’ve mostly accepted that I won’t be a part of the wrestling business. I’m turning 36 this year and that’s just too old to get started. Hell, I was in my early 30s at Fuegos and even that, that was old to be starting. I remember one of Fuego’s business partners, who ran a small indy fed, would eye each of the trainees. He walked up to each of us once, asking how old we are. When I told him 30, he asked what the hell I was doing there. I didn’t have an answer for him. I’m also not a naturally athletic guy like most in the business. Plus, I really don’t know if I could ever overcome that fear of being lifted up that I mentioned in part 6. I still watch wrestling, but find I’m just not as excited about it as I used to be. Maybe it’s WWE’s product or that the business as a whole isn’t as hot as it used to be. Maybe my enjoyment is tempered with the fact that I didn’t make it or didn’t have what it takes to make it. On the bright side, doing this series has been a joy for me. It’s allowed to me remember some really fun moments in my life and share some of the funny stories from the wrestling schools. I must give special thanks to Scott Keith, whose linking from his blog has greatly increased my view count. Naturally, I thank the hundreds of people who have visited and read these entries (and others!). Word Press allows me to see how many views I get and what articles people are visiting. I’ve seen people visit other articles of mine that aren’t even wrestling related. For that, I thank all of you. In the meantime, I’m working on the next adventure for Dill, other blog entries on whatever tickles my fancy, short stories, and playing with other creative ideas, like other novels and even a comic book series or two. So thank you, one last time, for each and every person who has been reading this series. I hope you enjoyed it as much as I did writing it. This entry was posted in Dilbert Pinkerton, Wrestling, Writing and tagged bump in the road, Dilbert Pinkerton, Scott Keith, Toronto, wrestling, writing, York University. Bookmark the permalink.